Let’s be honest: PR Fuel isn’t the only PR blog out there. And while I like to think we do a good job of providing useful information here, the truth is there are some other truly great PR blogs. So, if you want a well-rounded education, I highly recommend following these blogs. Note: When making lists like these, someone deserving always gets overlooked. 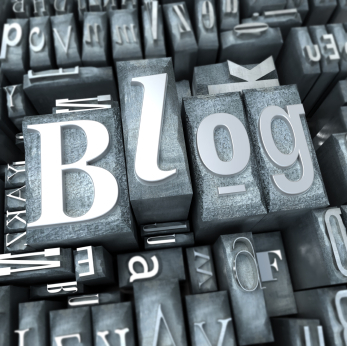 Please leave a comment with your favorite PR blogs. 1. Brian Solis – Respected worldwide, Solis blogs about the new world of PR and social media. Reading his blog should be a daily activity for anyone involved in PR. Make sure to keep an eye out for his upcoming book Engage. 2. Koifish – With a tagline of “World’s Second Best PR Blog”, I couldn’t help but put this blog at #2 on my list. For PR, social media, and even SEO tips, this blog is an excellent resource. 3. PR Squared – Everything you need to know about social media marketing is here. I’m particularly interested in a new series the blog is starting up on social media ethics. 4. Young PR – A blog from The Land Down Under that covers the changing world of communications thanks to the internet and social media. 5. Wired PR Works – A great PR blog that cover social media news and trends. 6. Diva Marketing Blog – Not just for divas, this blog discusses bold and unique marketing ideas that help you meet your brand’s objectives. 7. Publicity Hound – Like its name implies, Publicity Hound offers up all the information you need to seek and obtain more publicity. 8. PR News Online – The latest PR industry news to keep you informed and relevant. 9. 360 Days in a PR Life – One of my favorite things about this blog is that it features several authors (all women), so you get a wide range of topics covered and opinions. 10. Ogilvy PR 360 Digital Influence – Social media strategies and how to adapt to the new world of communications are just a couple of things you’ll learn by reading this blog. 11. PR Sarah Evans – Between her guest posting on Mashable and being a moderator of #journchat on Twitter, it’s amazing that Sarah Evans still has time to run her own blog. But she does, and she does a dang good job at it if you ask me. 12. Peter Shankman – As the founder of HARO, Peter Shankman has helped to change the world of PR. And that’s not an overstatement. His blog covers everything from the latest news about HARO to social media tips. 13. SteDavies – Formerly of PRBlogger.com fame, SteDavies is a UK PR blog that reaches a worldwide audience. 14. Pro PR – Another good blog to learn more about the integration of social media with your PR campaign. 15. PR Disasters – Learn what not to do by studying the latest PR disasters. 16. Proactive Report – A blog that features the latest case studies and info on trends to help you stay ahead of the curve so you can be proactive rather than reactive. 17. PR at Sunrise – Covers everything PR related, whether it’s happening in the world of sports or in Hollywood. One thing I love about this blog is that many posts feature a poll, allowing readers to vote with their thoughts on the topic. 18. prTini – Featured in our list of PR experts to follow on Twitter, Heather Whaling shares her insights into all things having to do with communication. 19. Murphy’s Law – Tom Murphy, who works in PR for Microsoft, shares his thoughts on PR and technology. 20. Bad Pitch Blog – Discover what it takes to avoid making a stinky pitch by checking out this blog. As I said earlier, I’m positive I’ve overlooked some really great PR blogs, so please leave a comment with links to your favorites (including your own blog). Thanks for tweeting the latest post! Great list! I appreciate the time it must have taken to put such a great list of PR blogs together. I’m sure they’ll help me learn a lot more about how to benefit from social media. Mickie – thanks for the shout out to Diva Marketing and thanks for developing a great resource. Nice list! For PR industry news I also like Ragan’s PR Daily (http://www.prdaily.com) and PRNewser (http://www.mediabistro.com/prnewser/). Interesting niche list! Thanks for sharing it with us. It’s quite helpful to learn as much as possible about PR and how to launch successful press release marketing to gain maximum visibility. I would have voted for applying SEO methods to the copywriting for news releases. Otherwise, the best copies won’t get a chance to be read online. Good list of PR Blogs but incomplete. Almost all of your links are already in my bookmark. Thanks for sharing! Little late to your party .. but thanks for the including Diva Marketing as part of your resource post. Appreciate your kind words. This is an awesome and very interesting blog post. I love it very much.Thanks to the writer for writing such a blog like this. Thanks to author for this contribution. Thanks for the info.. really helpful. I really thank you from the bottom of my heart for such a compilation.. thanks..
Really a very nice blog resource. Each and every link is filled with informative blogs. Thanks for sharing such a nice resource with us and I am sure that you are going to share some more in future too. Really thanks for such wonderful compilation. Really thanking you from the bottom of my heart. Please, keep posting so that learners like us get new things to learn. Really thanks for your information. Can really be helpful Thanks. Thanks that’s a great list. That’s really helpful.